In October last year, reports came out about a Dubai-based fashion e-commerce venture entering the very nascent Iraqi e-commerce market, having developed a customized solution of delivery and payment for the country’s large, increasingly tech savvy and often deep-pocketed youth population. 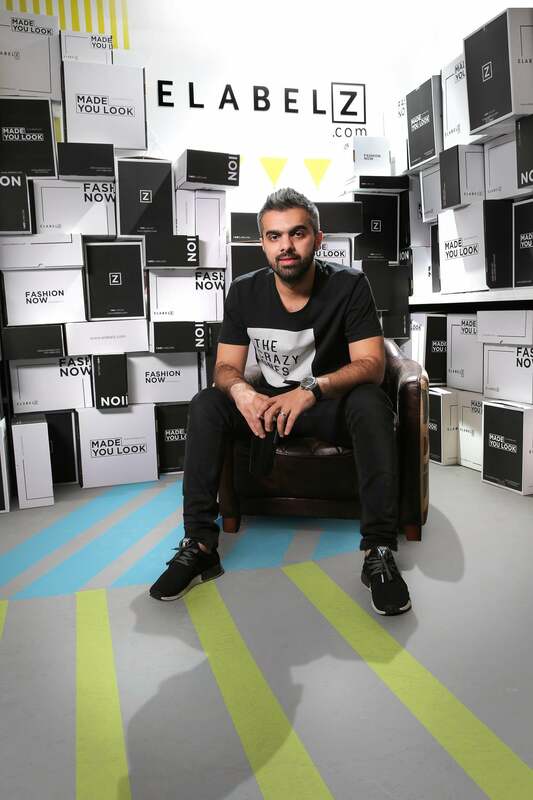 The online fashion e-commerce platform, described by its founder as “officially the world’s first international e-commerce company that directly caters to the Iraqi market,” had already been operational in Saudi Arabia, Kuwait, Bahrain, Oman and Qatar, in addition to the UAE. Surprisingly, this news bit wasn’t about some of the region’s leading e-commerce players, who have (arguably) a stronger brand power and substantial resources at their fingertips, but about Elabelz, an online fashion retailer that had, at the time, been established only four months earlier. Since its launch in May 2016, Elabelz's website and Android and iOS apps have offered over 21,000 fashion products for men, women and children from high profile local and international brands, adding 250 new products every day. Their target audience are young consumers, aged 30 and below. The company has been enjoying a steady 40% growth month on month, beating even its most ambitious expectations and plans. “So far, we have been low key, gathering strength, experience and brain power while enjoying being the underdog,” says Nooruldeen Agha, founder and CEO of Elabelz. A graduate of the American University of Sharjah, Agha started his career as a software engineer in 2010, climbing up the ranks in the region’s oil and gas companies. However, it was in 2013 that he decided to carve out his own path by co-founding Elephant Nation, a branding and digital advertising agency, with his wife Rand Al Maeeni. Having gathered a team of “creative tech savvy enthusiasts from around the world who are hungry for innovation, new design experiences and intelligence”, the wife-and-husband entrepreneurial duo left their mark on the region’s branding and digital advertising sector, having worked with more than 100 clients, including the Government of Dubai, Emaar Properties, and DP World, to name but a few. In mid 2015, with Elephant Nation reaching its stabile phase, Agha decided that it was time for his “next big thing’, utilizing the data and knowledge Elephant Nation had enabled him to acquire. On the first day of 2016, he says, it was clear to him that his goal was to enter the region’s e-commerce sector and build “an Amazon for trendy fashion buyers.” “I believe that our region had not been ready for e-commerce until 2015,” he says. “Even today, we are still in the very early days of e-commerce in the MENA region. The total available market is growing every day and doubling every year. It is one of the very few sectors that are actually seeing such growth. I believe that the state of the e-commerce sector is just getting started in 2017, with the Amazon entry into the market, and the Noon venture. The appetite to invest in the sector is now growing, and I believe it will reach a peak in late 2017 till the end of 2018. The reason is that the MENA’s total spend online compared to offline is still very low when compared to the US and Europe. "We always catch up four or five years later. So, the four years of us catching up with the rest of the world has started in 2017, which simply means that the e-commerce market is only going to grow in the next four years in the MENA, even more than it grew in the past 10 years combined. Furthermore, the fashion e-commerce front still has a lot of room for another big company in the market. The competition in what we offer is still limited to a company or two. Needless to say, the margins in the fashion industry are much higher than electronics which will get us closer to profitability in a shorter period of time compared to other e-commerce businesses.” Elabelz is incorporated in the British Virgin Islands, and has registered offices in the UAE, Saudi Arabia and Iraq. Following a transition period of a few months, Al Maeeni took full charge of Elephant Nation by the end of 2016, enabling Agha to fully focus on the new venture. Putting his analytical mind and business acumen to good use, especially when facing powerful e-commerce competitors across the region, Agha decided not to squander the opportunity of being at the bottom. In less than a year and without much fanfare, the Elabelz team has grown from 18 to over 170 people, grouped among different departments, including operations, sourcing, technology and development, photography and marketing. ELABELZ's website and Android and iOS apps offer over 21,000 fashion products for men, women and children from high profile local and international brands. Although hesitant to talk about the company’s financials, Agha reveals that he put his own skin in the game, and later received funding from four angel investors. “When it comes to tech or e-commerce, there is still resistance from investors to understand and believe that this sector is the future,” he explains. Not long after the Elabelz team built a solid base in Dubai and a few of the neighboring countries, their eyes were set on Iraq, which was a case study of how quickly and how well they could enter an underdeveloped market, Agha remembers. “We wanted to test and see if we would be able to enter and operate in a market that had hardly seen the concept of buying online before,” he adds. “Our customers in Iraq have one main question, and that is: ‘How do I buy?’ It was something that we had in the UAE in 2009 and 2010 when e-commerce had just started, but no one understood how exactly it should work.